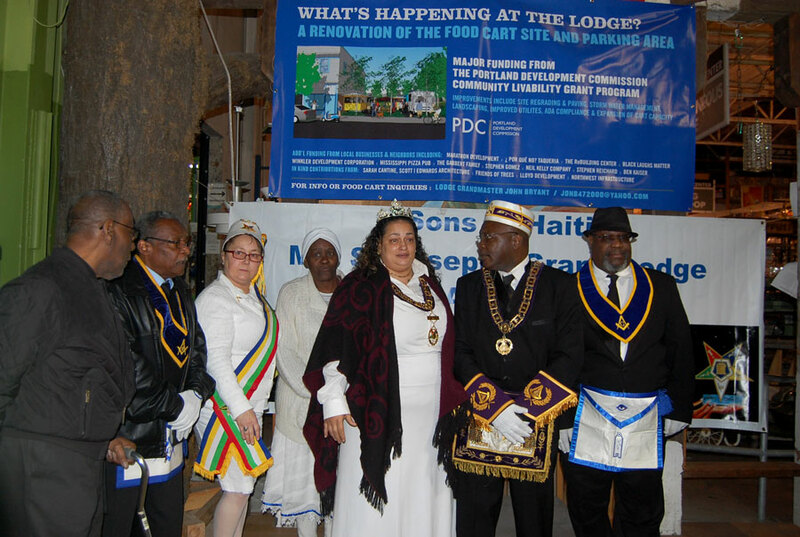 On January 17th, ReBuilding Center hosted a successful community event in collaboration with Boise Neighborhood Association, Mississippi Ave, Stephen Gomez and Sarah Cantine, and the PDC to support one of the last black owned businesses on Historic Mississippi Avenue, the Sons of Haiti Lodge, in their efforts to revamp the food carts on their property. 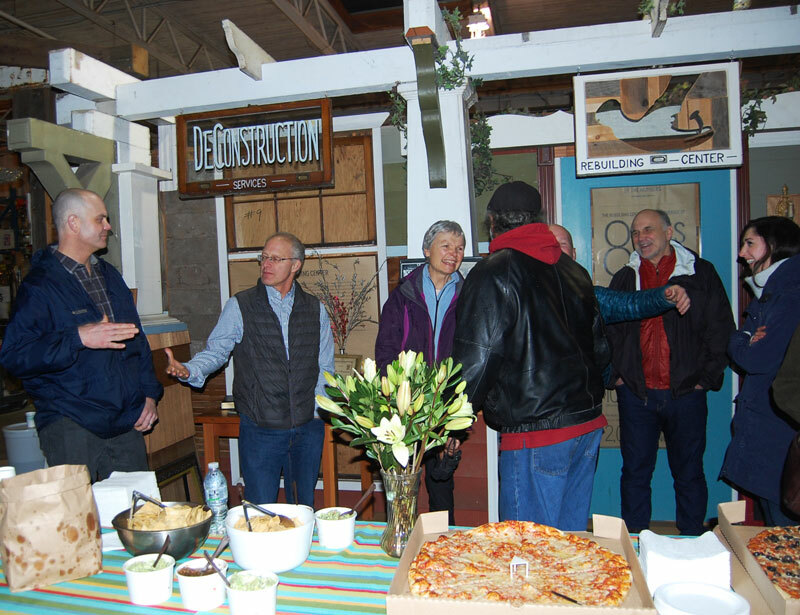 The event was catered with gracious donations from ¿Por Qué No? Taqueria and Mississippi Pizza Pub. 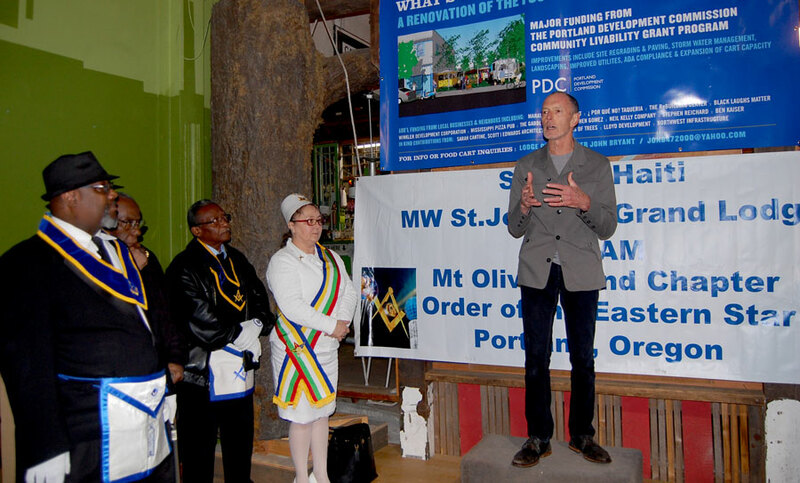 Attendees learned about plans for the project and about the Sons of Haiti Lodge and what they do for the community. We are so grateful for everyone in that came out and showed their support! The process of renovating the space is well on the way. 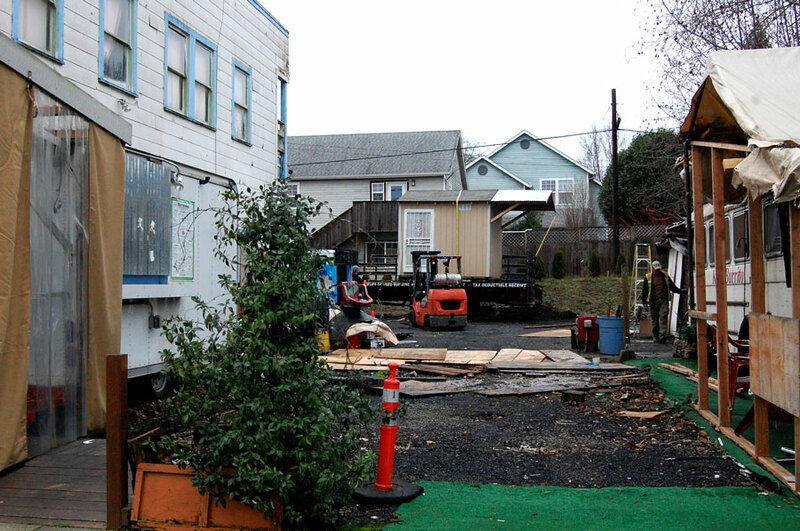 Our team over at ReBuilding Center continued to show support by offering our DeConstruction services to lift and remove both Ella’s and King Burrito’s food cart storage sheds from the Lodge site to the pole barn on North Cook and Albina space, generously offered for use by Marathon Development. Site clearance will continue till Sunday with construction by Lloyd Development will start January 25th. The city permit requires stormwater management, landscaping and utilities all up to code. The work will include excavation, grading, installation of water and electric lines for carts, a bioswale and dry well, paving of the site, new trash enclosure with drainage and landscaping. The site will also be fully disability accessible when completed. Architects rendering of the project when finished. 1. Sidewalks and site lighting. Though not currently required by the city we believe some or all of the sidewalks will need to be repaired. In addition we want to light the site for night time business. With construction scheduled to start Monday January 25th and an expected construction time of about five weeks, we will get the carts back on the site by March 1st! The new project allows for three additional carts (currently there is only room for two) which will provide additional income potential for the lodge! If you would like to donate to this project and support the Sons of Haiti Lodge and members and stabilize one of the last black-owned properties on historic Mississippi Avenue follow the link below. Special thanks to all of the private financial contributors which include: Por Que No?, Marathon Development, Mississippi Pizza Pub, ReBuilding Center, The Winkler Companies, Nels Gabbert (One North Developer), Stephen Reichard, Stephen Gomez, Ben Kaiser, Neil Kelly Company, Bryan Wannamaker, all of the GoFundMe supporters and the group of comics that organized the fundraiser “Black Laughs Matter” which provided over $1,300 in additional funds. Newer PostTake a Stand for Deconstruction!